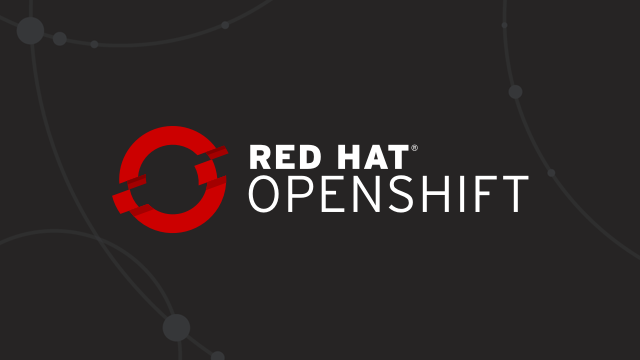 Welcome back to the final part of this multipart series about deploying modern web applications on Red Hat OpenShift. In the first post, we took a look at how to deploy a modern web application using the fewest commands. In the second part, we took a deeper look into how the new source-to-image (S2I) web app builder works and how to use it as part of a chained build. This third and final part will take a look at how you can run your app’s “development workflow” on OpenShift. As mentioned in the first post, a common development workflow for modern web applications is to run a “development server” that watches your local files for changes. When a change occurs, the application’s build is run and the browser is refreshed with your updated app. Most of the modern frameworks have this “development server” built into their respective CLI tools. Let’s first start with running our application locally, so we can see how this workflow is supposed to work. We are going to continue with the React example that we saw in the previous articles. Even though we are using React as an example here, the workflow concepts are very similar for all the other modern frameworks. Now, if we make a change to a file, we should see the application running in the browser refresh with the latest changes. As I said before, this is a common workflow for local development, but how can we get this workflow onto OpenShift? In the previous article, we took a look at the run phase of the S2I image. We saw that the default way of serving our web app is with the serve module. However, if we look closely at that run script, we can see that we can specify an environment variable, $NPM_RUN, which gives us the ability to execute a custom command. Note: The above example has been shortened to show an idea. Here we are adding the NPM_RUN environment variable to our deployment. This will tell our run phase to run yarn start, which starts the React development server inside our OpenShift pod. Of course, this doesn’t really matter unless we can sync our local code with the code that is being watched on our remote cluster. Luckily, we can use nodeshift again to help us out. We can use the watch command. This will connect to the running pod we just created and sync our local files with our remote cluster, while also watching our local system for changes. So if you were to update the src/App.js file, that change will be detected and copied to the remote cluster, and the running development server will then refresh the browser. The watch command is an abstraction on top of the oc rsync command. To learn more about how that works, check it out here. Even though the example we saw was using React, this technique also works with other frameworks. You just need to change the NPM_RUN environment variable. 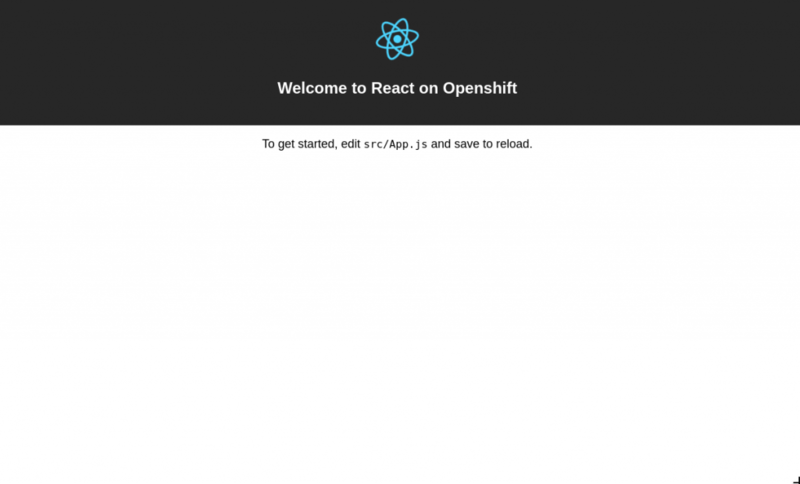 In this 3 part series, we saw how to deploy modern web applications to OpenShift in a few ways. In part one, we saw how to get started quickly with the new Web App S2I Image. Part 2 dove a little deeper into how the S2I image worked and how to use chained builds. 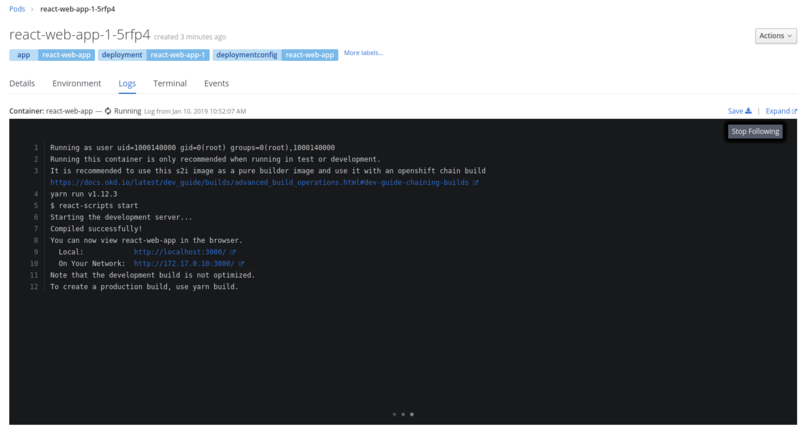 This last part was a brief overview of how you can run a development server on OpenShift.